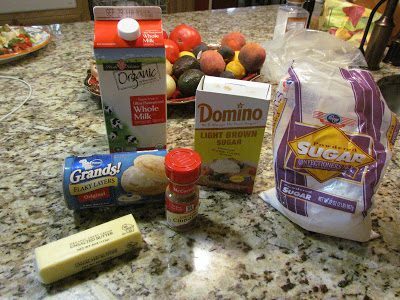 Place powdered sugar and milk into a small bowl and whisk until smooth. Preheat the oven to 350 degrees F. Lightly grease a large baking sheet with non-stick cooking spray. Unroll biscuits and press thinly out with fingers or rolling pin. 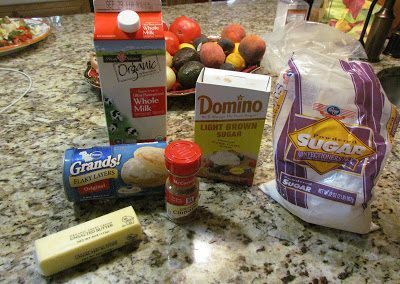 Spread each biscuit with 1 teaspoon of butter then top evenly with brown sugar and cinnamon. Roll up biscuit with seam side down on cutting board. Use a sharp knife and cut 1/2 inch slices and place onto prepared baking sheet. Bake for 15-17 minutes, until light brown and cooked through. Remove from oven and drizzle lightly with prepared icing.